The complexities of modern families are making it even harder for business owners to plan for the future. 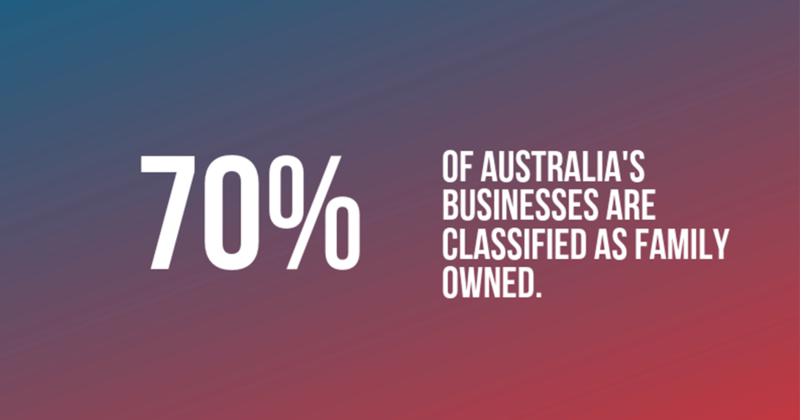 With around 70 percent of Australia’s 2.1 million businesses classified as “family owned”, future-proofing the family business sector is critical to the Australian economy. Bartier Perry Partner Chris Tsovolos has witnessed family businesses literally implode because of poor planning and a lack of communication. He has also helped many family business owners to successfully tackle succession planning. With the baby-boomer generation getting ready to hand over the keys to millions of Australian family businesses, the importance of a strategic transition is now “mission critical”. Mr Tsovolos said “Mum and Dad” business owners often under estimated how important they are as the “glue” that keeps families and family businesses together. “Once the glue is gone, families rupture and things can really fall apart,” he said. ”“There’s also a lot of ‘hopeful thinking’ that ‘it will be right on the day’ rather than proper planning going on. Mr Tsovolos and his Sydney-based Private Client Services team at Bartier Perry are experienced in providing specialist services to high net wealth individuals and privately held businesses. Their core practice areas include estate and business succession planning, asset protection, taxation and superannuation structuring, estate and business succession planning and asset protection. Mr Tsovolos is also a Fellow of The Tax Institute and an Accredited Advisor with Family Business Australia. Speaking with Sydney business leaders recently as part of Coraggio’s Board Advisory program, Mr Tsovolos noted generational family business succession planning was often considered to be “too hard” and therefore given a very low priority by family business owners. Sometimes the best answer to business succession is not always the obvious one, according to Mr Tsovolos. “Control and ownership are not the same thing when we talk about business succession,” he said. “Business owners should be looking at how they can provide stewardship during a transition. And while every business is different, Mr Tsovolos shared his tips on how to achieve successful family business transition. “Firstly, talk about it early inside the business,” he said. “It’s really important to get things out on the table and understand everyone’s point of view. “Second, speak to advisers and other businesses to understand what the options are, as well as the pitfalls. “Finally, separate emotions from the issue. It’s important to look at a business as just that. Getting outside help can really help to diffuse some of the emotions. “Leaving these decisions to chance could have massive implications for the future of a business and also lead to the loss of the family home and other assets, as well as having serious consequences for employees. Coraggio, meaning Courage, is a community of private business owners and industry leaders who share, learn and grow through Advisory Boards and a focus on four key areas that determine the success of a business: attracting and retaining the right people, creating a truly differentiated strategy, driving flawless execution and building finances.